Aiguebelle is the famous Trappist abbey near Montelimar in southeastern France. 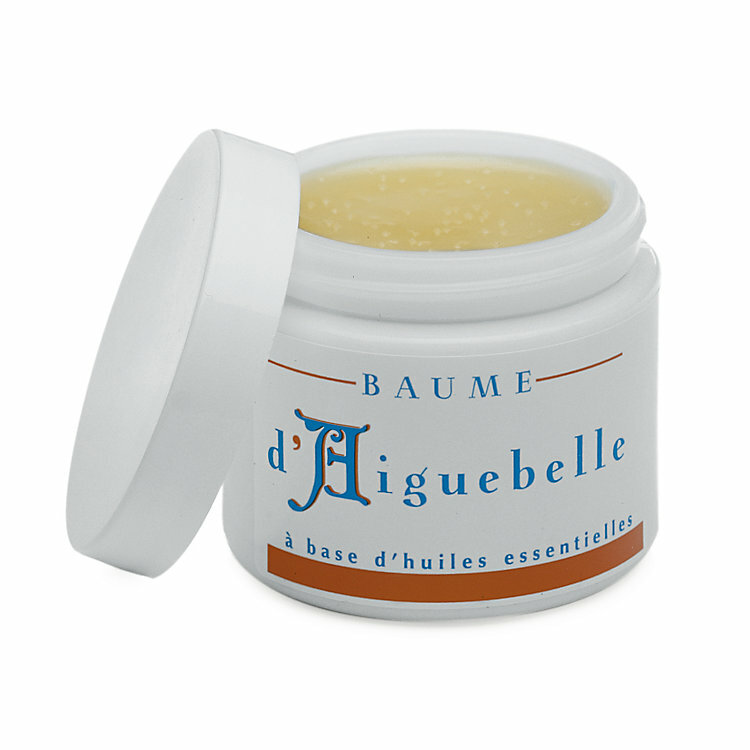 It's where this aromatic ointment made from natural ingredients (among others rosemary and lavender, thyme, eucalyptus, Pelargonium, sage, pine and juniper) comes from. The base for the ointment is vaseline and beeswax. Good for sore muscles and joints, or for rubbing on the chest for colds and coughing.